Are Drugstore ‘Cheaters’ as Good as Prescription Reading Glasses? How well do over-the-counter “cheaters” work — and when is it really better to invest in prescription reading glasses? Optometrist Robert Engel, OD, offers The Short Answer. Q: Are drugstore “cheaters” as good as prescription readers? A: When you’re having difficulty reading, it’s important to have your eyes examined to determine if you need a prescription for glasses. For the vast majority of people, buying over-the-counter (OTC) readers will not be a problem as long as they exactly match the power of the prescription. For instance, if your doctor recommends +2.00 in each eye, then purchasing OTC readers of the same power should generally suffice. 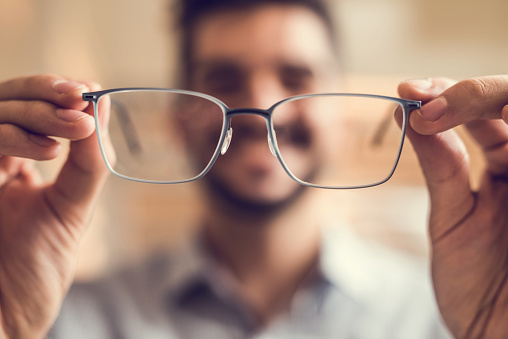 The quality of the lenses and materials of mass-produced readers are usually inferior to those of privately manufactured glasses. However, many people accept this compromise because of their low cost. With that said, there are exceptions. In rare cases, when the distance between pupils is very small or very wide, the lenses in OTC readers can cause eye strain or double vision. If you’re experiencing these symptoms with OTC readers, it’s best to replace them with a proper pair of prescription glasses.